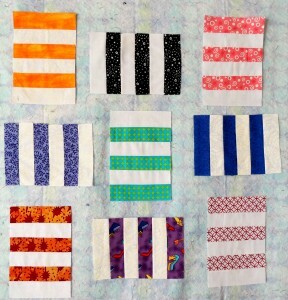 Here are my nine blocks. They go together so quickly, don’t be surprised if you end up making the maximum, too. I’m donating my chances in the drawing. 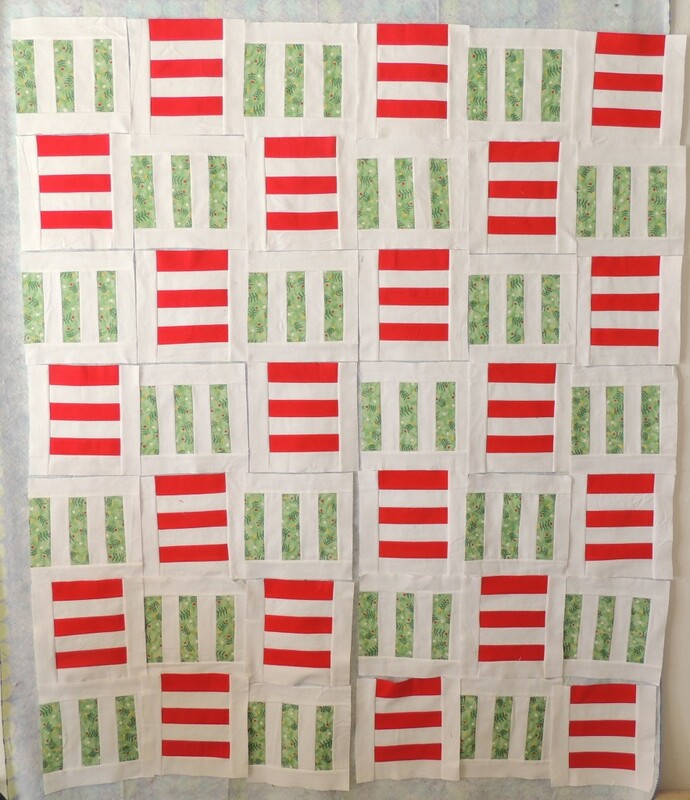 After playing with my blocks on the wall and putting them into this arrangement … I couldn’t resist pulling some flannel fabrics from my stash and putting together a cuddly quilt. (That’s where the directions for calculating yardage and using strip sets came from.) Or it might have been because I was snowbound during the storm and the thought of a big flannel throw really appealed. The top and back are pieced, but not yet quilted. 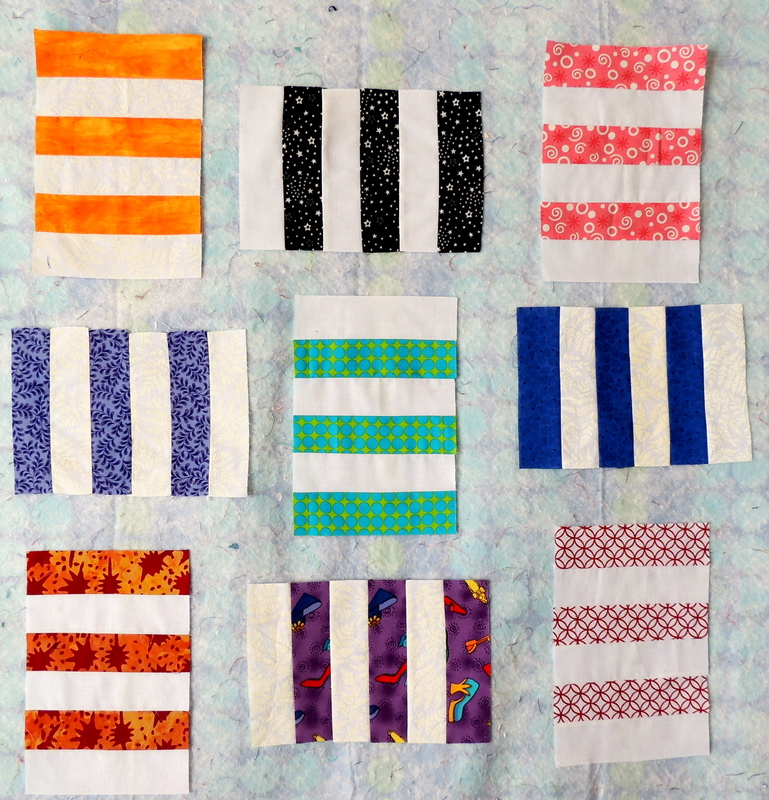 Here’s some of the blocks on my design wall.